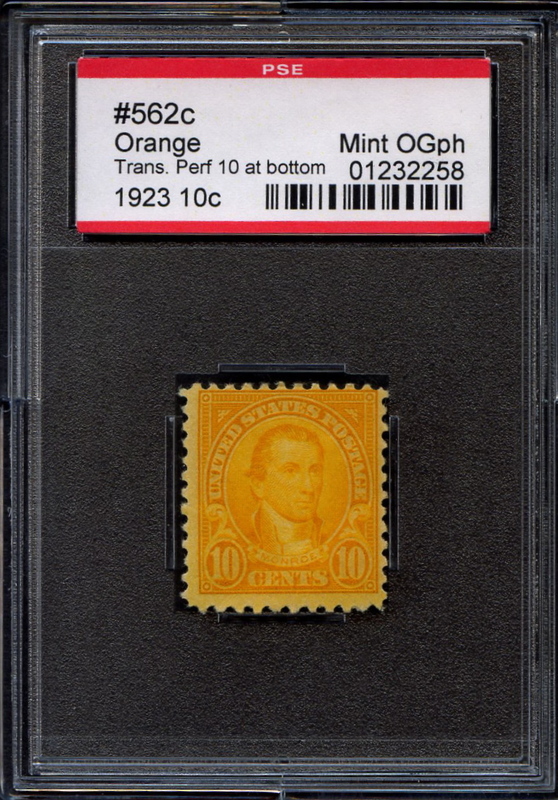 #562c Transitional perf 10 at bottom w/ PSE Certificate - $59,000.00 : Graded Stamps:, Welcome To Jerry Connolly Stamps! PSE Encapsulated Certificate 01232258. Extremely Rare stamp. Only two examples known with original gum. This one completely sound with no hinge remnant. Other well known example has a hinge remnant and a perf disc impression.